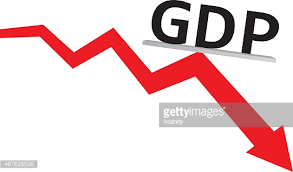 The National Bureau of Statistics on Monday released the Gross Domestic Product growth rate for the second quarter of this year with the economy recording a decline in performance from 1.95 per cent in the first quarter to 1.5 per cent. The bureau in the report which was made available to our correspondent said the second quarter growth rate was constrained by contractions in the oil GDP. Some finance and economic experts, reacting to the development, said it showed that the economy was still vulnerable to oil and herders/farmers clashes and warned of major macroeconomic challenges ahead such as increased inflation, unemployment and a further decline in external reserves. In nominal terms, the NBS put Nigeria’s economic output during the second quarter of this year at N30.69tn, adding that this represented a 7.85 per cent increased when compared to the preceding quarter figure of N28.46tn. The report read in part, “In the second quarter of 2018, Nigeria’s GDP grew by 1.5 per cent year on year in real terms to N16.58tn. Growth on Q2 was 0.79 per cent points higher when compared to the second quarter of 2016 which recorded a growth of 0.72 per cent, but -0.45 percentage points slower than 1.95 per cent recorded in the first quarter of 2018. The NBS in the report said oil GDP contracted by -3.95 per cent in the second quarter as against 14.77 per cent in the first quarter of this year and 3.53 per cent in the second quarter of 2017. The report said for the first time since Nigeria’s exit from recession, growth was driven by the non-oil sector which grew by 2.05 per cent, representing the strongest growth in non-oil GDP since the fourth quarter of 2015. The 2.05 per cent growth rate is higher than the 0.76 per cent growth, which the sector recorded in the first quarter of this year. It added that the non-oil GDP growth, which was 0.72 per cent in the first quarter of 2017, 0.45 per cent, -0.76 per cent, 1.45 per cent in the second, third and fourth quarter of 2017, respectively grew by 2.05 per cent in the second quarter of this year. The report added, “Non-oil growth was driven by transportation which grew by 21.76 per cent supported by growth in construction which grew by 7.66 per cent and electricity which grew by 7.59 per cent. “Other non-oil sectors that drove growth in Q2 2018 include telecommunication, which grew by 11.51 per cent; water supply and sewage, which grew by 11.98 per cent; and broadcasting, which grew by 21.92 per cent. In real terms, the NBS report said the non-oil sector contributed 91.45 per cent to the nation’s GDP compared to 90.96 per cent recorded in the second quarter of 2017 and 90.39 per cent recorded in the first quarter of this year. Reacting to the GDP report, the Managing Director, Financial Derivatives Company Limited, Mr Bismarck Rewane, said the economy recorded “a significant drop in performance” in the second quarter because of the disruption in oil production and agriculture, citing the herdsmen/farmer crisis and force majeure on oil exports. He said, “It (the Q2 GDP figure) just shows you that the economy is very vulnerable to oil in the South-South and herdsmen and pastoral conflict in the Middle Belt of Nigeria. And then there is a time lag between when you have policies and when you get results. The lesson is that Nigeria should stop celebrating too early. We tend to celebrate even before we see the real impact. According to Rewane, the sectors that are growing fast are those that do not employ a lot of people, and so the unemployment data is going to be disappointing. He said, “There is going to be increased inflation in August and September; there is going to be increased unemployment and flat growth. So the annual growth projection, instead of 2.1 per cent, is going to come in at about 1.8 per cent, which will be a disappointment. A professor of Economics at the Olabisi Onabanjo University, Ago Iwoye, Sheriffdeen Tella, said the economy was growing gradually, adding that it would take some time before the budget would have real effects. “So, it is not surprising that such growth was reported. The economy depends largely on oil sector and the US has reduced drastically its imports from Nigeria and the price of oil also reduced in the second quarter. Also reacting to the report, the Minister of Budget and National Planning, Senator Udo Udoma, said that the Federal Government was encouraged by the continuing growth recorded in the non-oil sector, which grew by 2.05 per cent in the second quarter. But an economist and former Director-General, Abuja Chamber of Commerce and Industry, Chijioke Ekechukwu, said the fact that the non-oil sector drove the growth rate in the GDP was an impressive development for the economy. He said, “This is an impressive development. To have a non-oil-driven growth is an indication that all the economic development efforts of the government are beginning to yield results.